The Florida East Coast in action on the north end of the system, between the yard at Jacksonville and Melbourne. 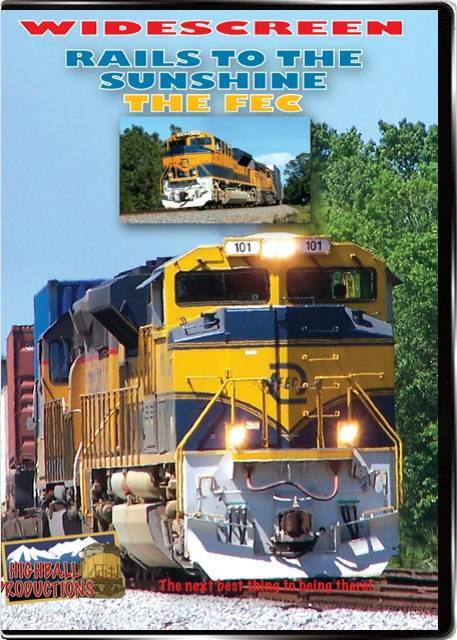 Manifests, locals, intermodals and rock trains ply the well ballasted main line of the FEC. The new SD70M-2ís are much in evidence, paired with ex Union Pacific SD40-2's and GP40-2's still in the blue paint scheme. One of the best looking regional railroads around!